Vegan, Vegetarian, Gluten Free, and meat-lover friendly with the best RUM cocktails in town! 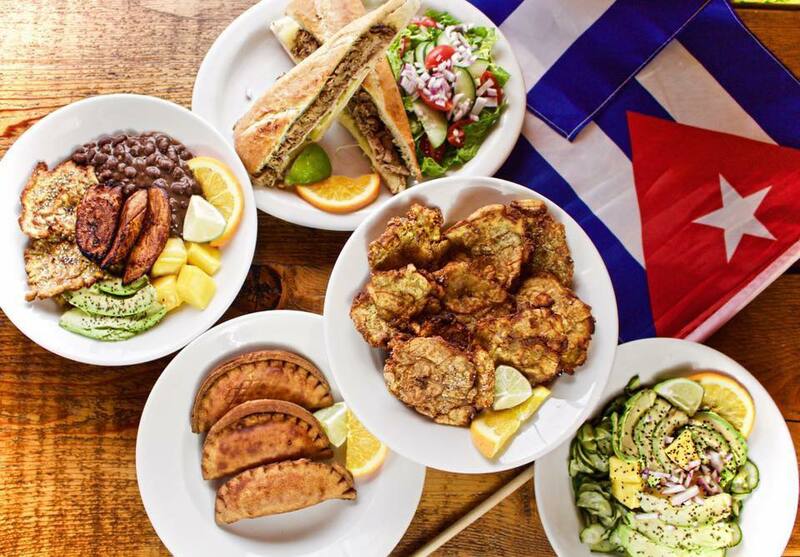 Cubo brings authentic Cuban comfort food all the way from Havana to Portland, OR. The first Cubo food cart was opened in 2010 by one Havana born and raised musician and one artistic and environmentally focused American. 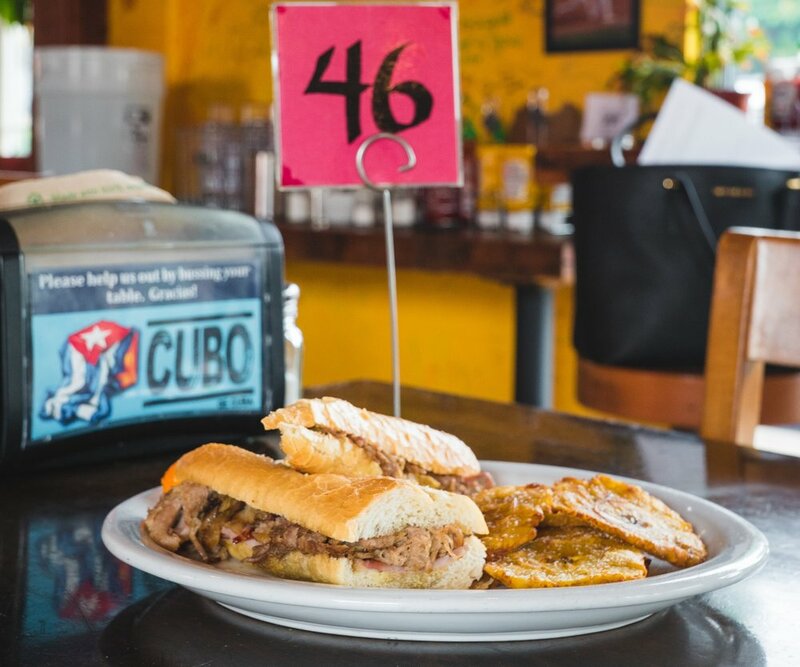 With Milko's Cuban heritage bringing flavor and rhythm, and Emily's environmentally concious input and foody and bartending know-how, the cart grew into a casual counter service brick and mortar by 2013. Cubo uses a minimalistic approach to creating good, simple food and cocktails with a focus on having gluten free and vegan options in addition to the traditional meat-lover's Cuban fair. Even the empanadas and fryers are GF! You can taste the Italian, African and Spanish influences in the unique flavors of Cubo's dishes and Milko's own homemade Mojo's sauces at our colorful, family and dog-friendly restaurant in the heart of Hawthorne. All plates come with white or brown rice, black beans and a side choice. Choose spiced yellow rice for 50c extra. Sub lettuce for rice, no charge. All sandwiches are hot pressed on Cuban style bread and come with a side choice. Slow roasted, shredded pork shoulder, pit ham, Swiss cheese, house made mojo, carmelized onion & pickle. Roasted pork shoulder, mojo, caramelized onion, & Swiss cheese. One side included with plates and sandwiches, or as priced for a larger, separate side. Brined cucumber, mango, red onion and avocado tossed in lime juice, salt & pepper. (GF**) Vanilla ice cream & hot, fried, sweet plantains with coconut and chocolate drizzle. Bacardi Superior, lime, simple. Blended or on the rocks. Bacardi Superior, pineapple juice, coconut cream. Blended smooth. Bacardi Superior, guava puree, coconut cream. Blended smooth. Bacardi Superior, pineapple juice, splash of grenadine. Bacardi Superior, coconut water, simple, lime. Check our drink special board for more cocktail choices. Check our board or ask for our selection at the register. or delivery from Delivery Dudes for the office, a special event or any occasion. Need help deciding what to order for your party or event? Call or email, and we can help! 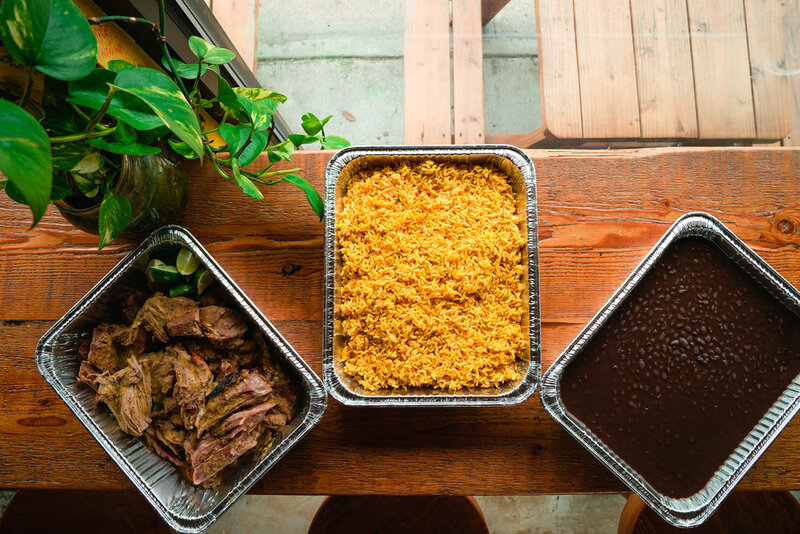 Cubo offers pick up catering for your event that will make everyone happy. 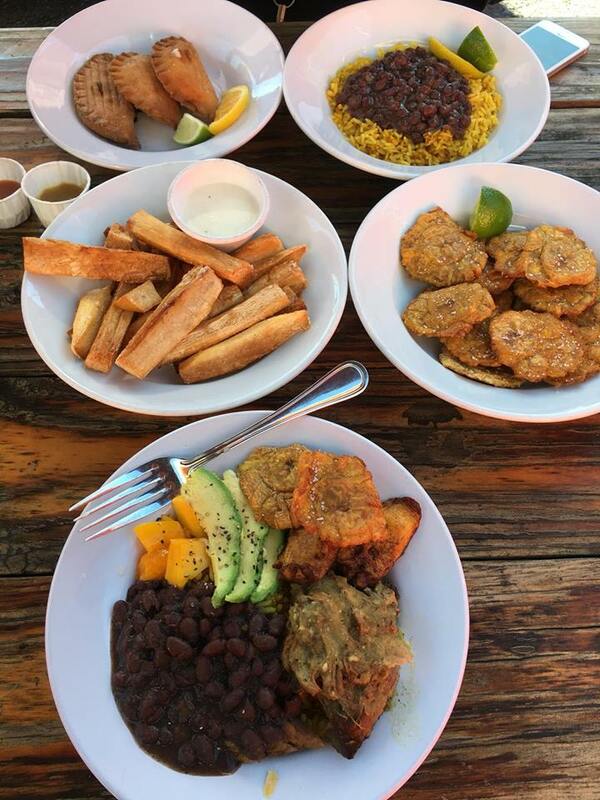 We have all your authentic Cuban dishes including vegetarian, vegan and GF options and even Cuban sodas and Mojo's sauces, too! “CUBO” TRANSLATES TO “CUBE” IN SPANISH. EL CUBO DE CUBA (THE CUBAN CUBE) FOOD CART WAS OPENED BY ONE HAVANA BORN AND RAISED CUBAN AND ONE AMERICAN IN DOWNTOWN PORTLAND IN 2010. CUBAN FOOD WAS SERVED IN LITTLE BOXES OR CUBOS FROM A CUBE SHAPED CART, HENCE THE NAME. CUBO OUT-GREW THE CART QUICKLY, AND IN 2013, BECAME A BRICK AND MORTAR RESTAURANT. Thank you for subscribing to the CUBO CLUB!